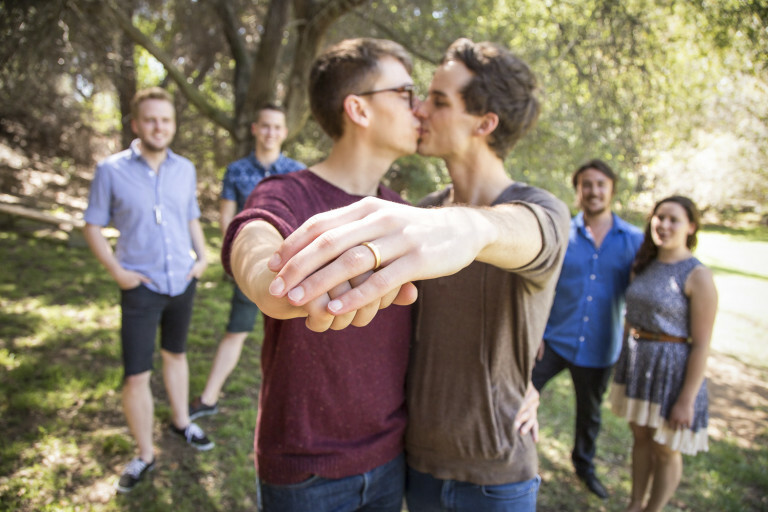 Saxon’s best friend Erica knew he was going to propose and gave him and Joe the gift of Paparazzi Proposals as their wedding gift! Saxon worked with Paparazzi Proposals to plan a surprise engagement, and get an experienced paparazzi-style proposal photographer to capture their full proposal day. 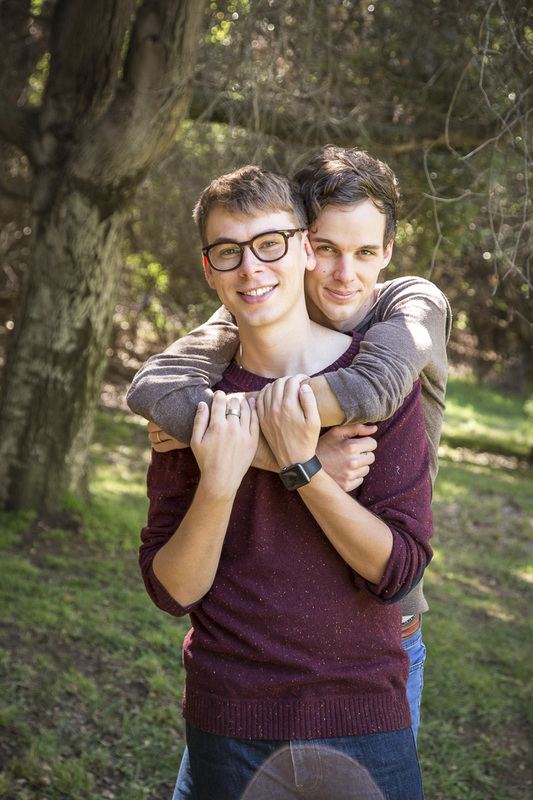 He decided on Franklin Canyon Park as the perfect place to pop the question, and reached out to all of their closest friends and family, all while keeping it a complete surprise for Joe! Joe could barely contain his excitement as he joyfully accepted! 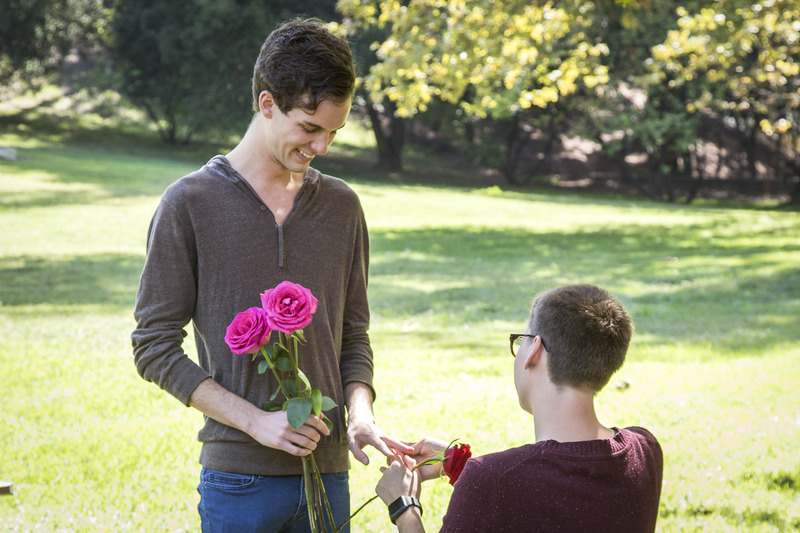 We were touched by this couple’s sweet, romantic proposal. Paparazzi Proposals knows every great engagement photo has an incredible background story, so we invited the newly engaged pair to share with us how they met and fell in love! Saxon: In March 2014, Joe and I met online. I had noticed a picture of him in front of Angkor Wat, a beautiful ancient stone temple in the heart of Cambodia. I had just returned from visiting Angkor Wat so I recognized it instantly. After the initial online meet up, we decided to meet for real the following day. We ended up getting coffee at Intelligentsia in Silver Lake. It was the first time I have ever met someone online. Saxon: So I was absolutely captivated by his maturity and kindness. He just had a presence about him that was unlike anything I have ever previously encountered. Not to mention his dashingly good looks. It wasn’t love at first sight, but more complete and total intrigue. I wanted to learn all I could about this beautiful man. Joe: Well I’m almost sure it was love at first sight for me. I was attracted to every part of him on that coffee date. He was a mystery and just like what he said, I wanted to learn everything about him. Saxon: Honestly it was pretty early on. 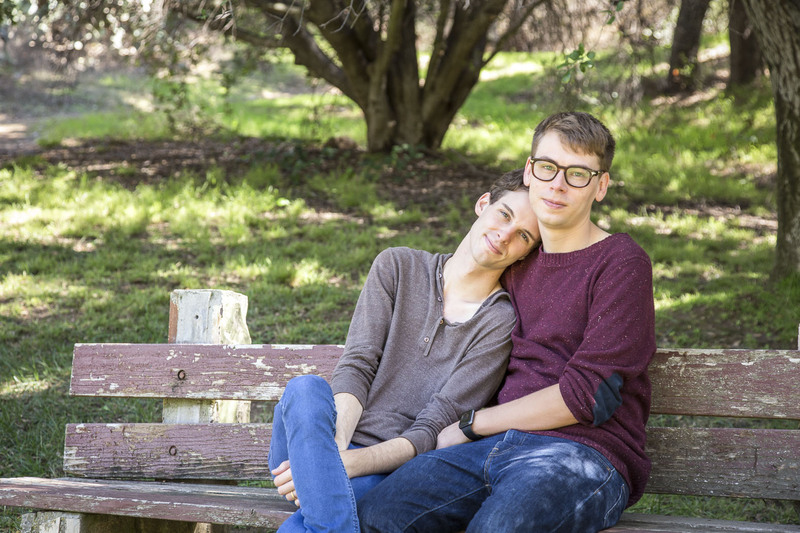 We moved in together after only four months of dating. I believe after jumping in, and seeing how compatible we were on a multitude of levels, the logical next step was marriage. Joe: I knew early on. But I think it was when we moved in together- every day we were together was a confirmation of those feelings. 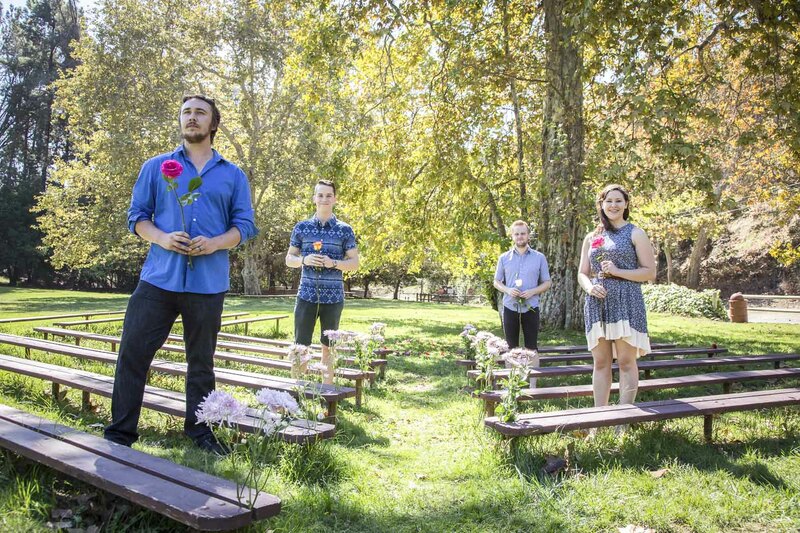 Saxon: For me, Franklin Canyon Park embodies a spiritual connectedness that can only be found outside. I grew up in the outdoors, and the most impactful memories of my life, were surrounded by nature. I knew Joe’s childhood was very similar, with a strong appreciation for the open air. It removes you from the hustle and bustle of Los Angeles, and presents a moment of tranquility. Did anyone help you plan the proposal? Oh my goodness, did they. Without the help of my best friends, my proposal wouldn’t have been what it was. Nils and Erica were integral to the planning process. They graciously gave me the gift of Paparazzi Proposals for our wedding gift, and we are so very grateful for their support and generosity. The plan for me was to fly in Joe’s best friend (Clay) and brother (Scott) to the proposal. Now, organizing this without Joe finding out was an extremely difficult and nerve racking process. Fortunately he was completely surprised, and had no idea. It was the best day of my life. Where did you purchase the rings? We bought our rings from Liza Shtromberg. She is a phenomenal jeweler, with a truly open and loving heart. We wanted something unique and elegant. I strongly recommend her to anyone looking for that special token of appreciation. She is simply the best! 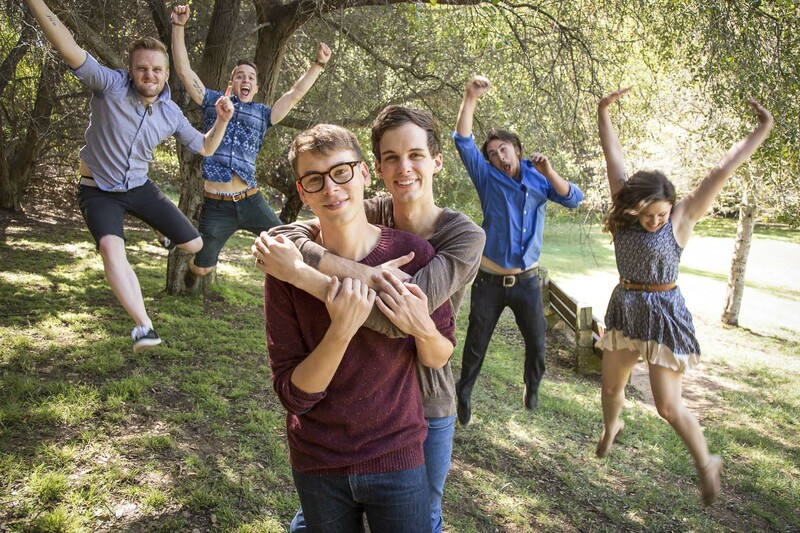 View the couple’s full proposal slideshow to see more heartwarming photos from their engagement! 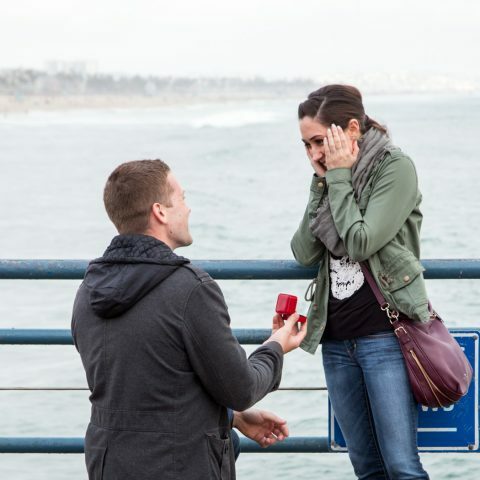 Thinking about planning your own perfect Los Angeles marriage proposal? We’ve got you covered. 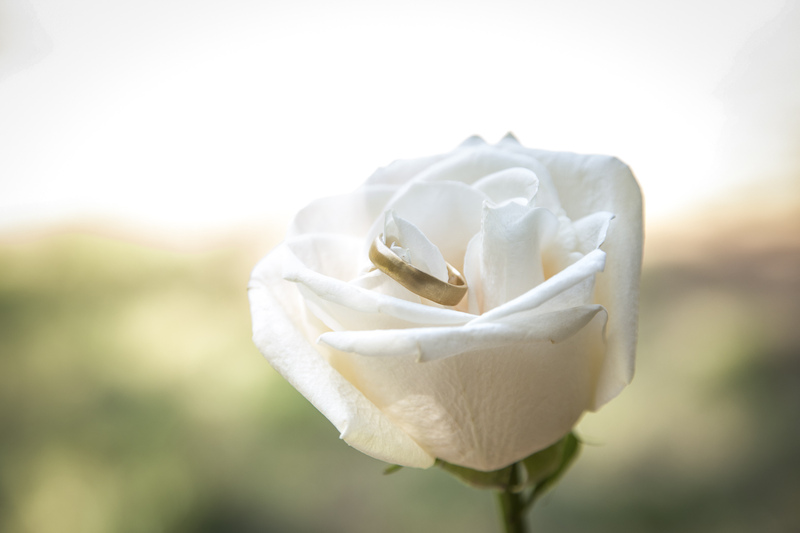 Paparazzi Proposals specializes in proposal planning and surprise engagement photography. We take the stress out of your engagement, matching you with the perfect Los Angeles proposal photographer and working with you to create your picture-perfect proposal plan! Not in L.A.? No problem. We are in every major city nationwide, so no matter where you are, we’ve got a proposal photographer and engagement plan for you! Contact us today for a free consultation!